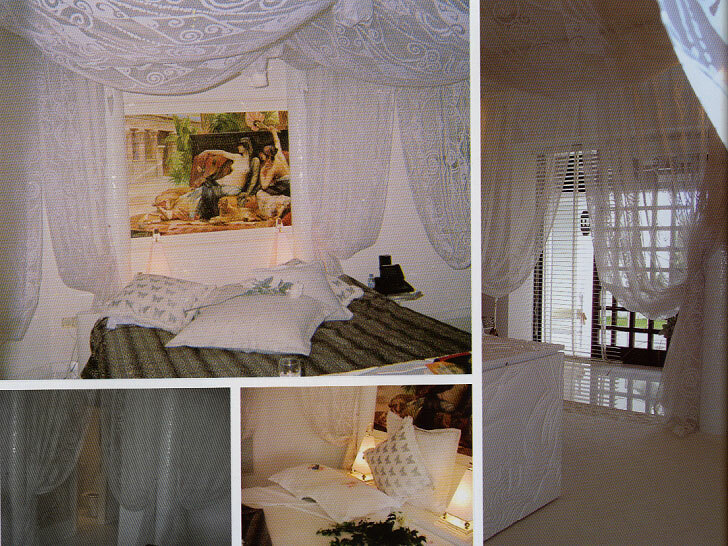 Ibiza Isla Ferradura Luxury Resort Accommodation. 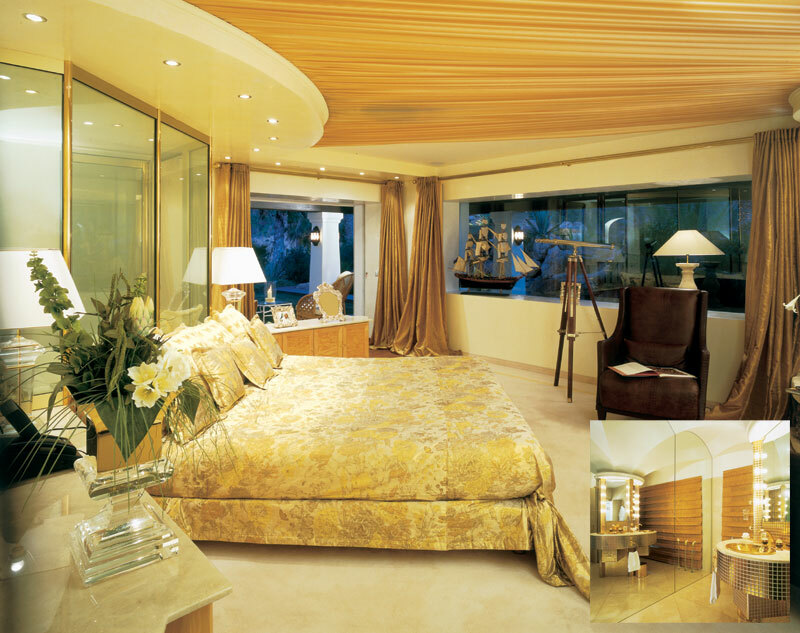 As implied in its name, the Principal Suit is probably more luxurious then the other suites. The design and the furniture of the suite are full of fantasy. 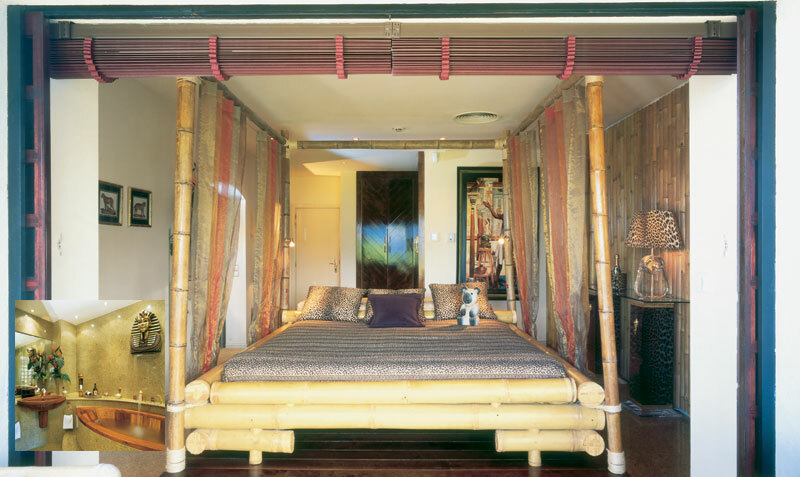 Bamboo suite gives the guest the feeling of an experienced traveler, arriving in an oasis of tropical relaxation. Romance is what Perla Suite embodies. Like other suites the suite is equipped with TV, DVD, radio, telephone etc.. 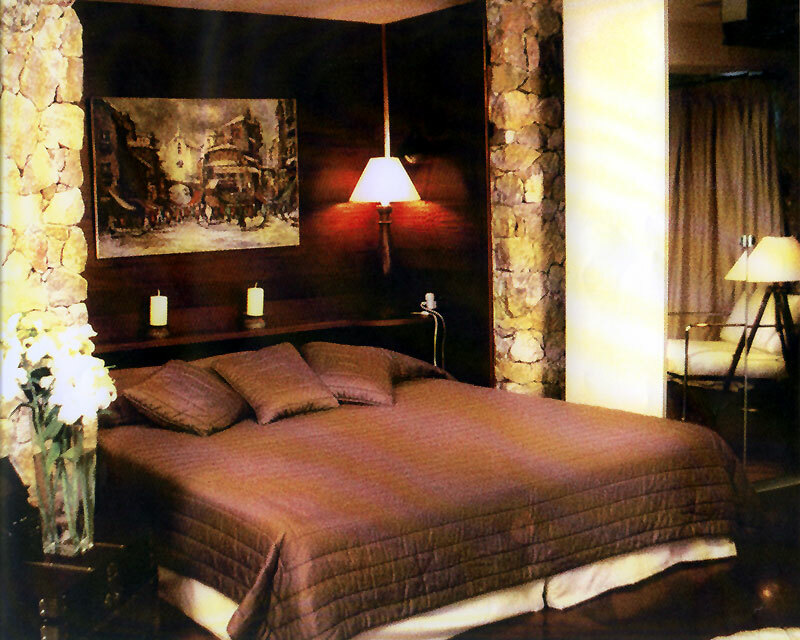 The Perla Suite is a pearl for a divine stay during night and day! In the Azul Suite the blue-azure colors are dominant, which gives the whole a fresh and unexpected atmosphere. The decoration and design create a Royal scene. 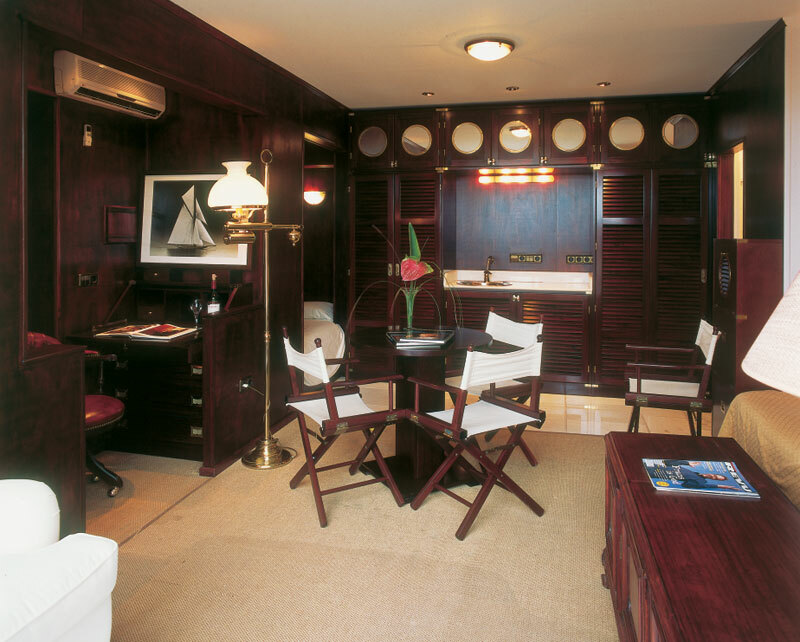 This suite is located on the north side of the island and is completely decorated in a luxurious sailor's style. Situated at the salt water Laguna, this suite is the most private and perhaps most beautiful suite on the island. Every morning and evening this suite offers you a beautiful view over the unique rocky shore on the east side of the island.